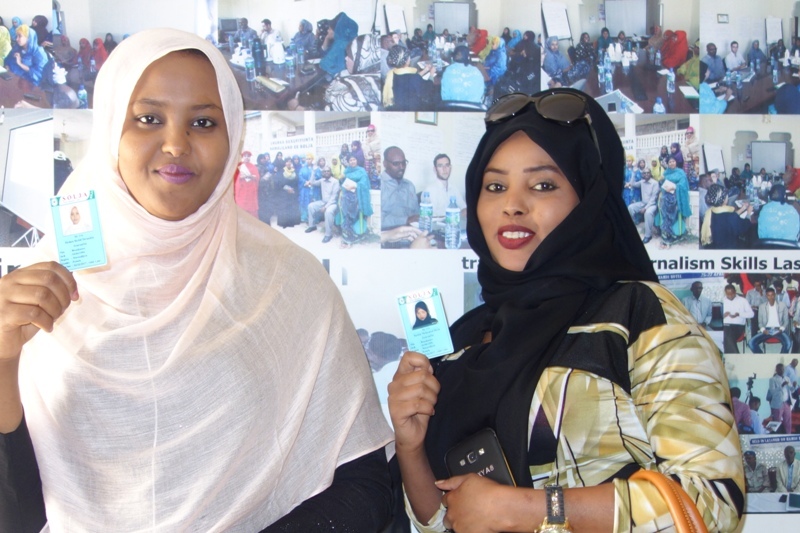 2 Female journalists who secured their press Card. 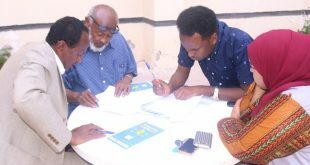 Left (Zamzam) R(Hamda). 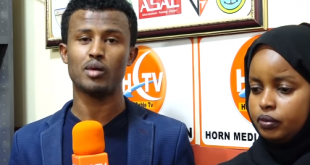 Both works for Waaberi Tv, Local private Tv based in Hargeisa. 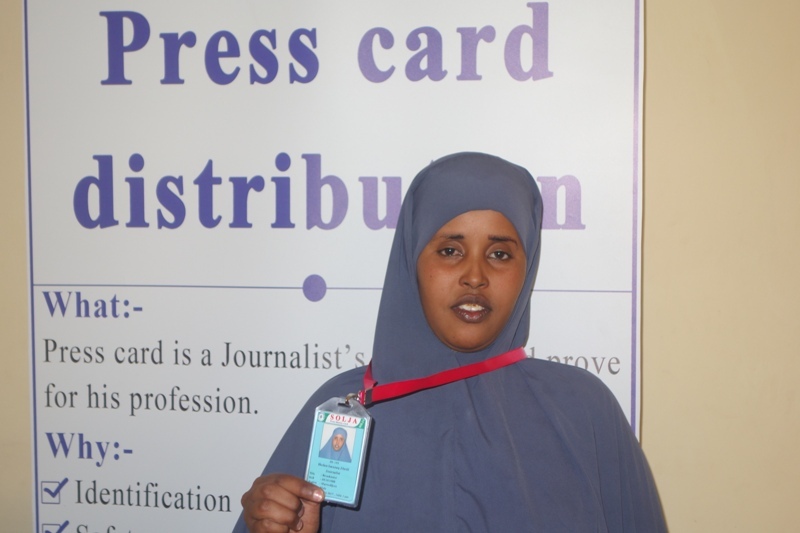 “A Press Pass is a journalist’s most precious possession, a ticket to enter any major event or show without being interrogated at the gate both government institutions and Hotels were political and non-political events are occurring. 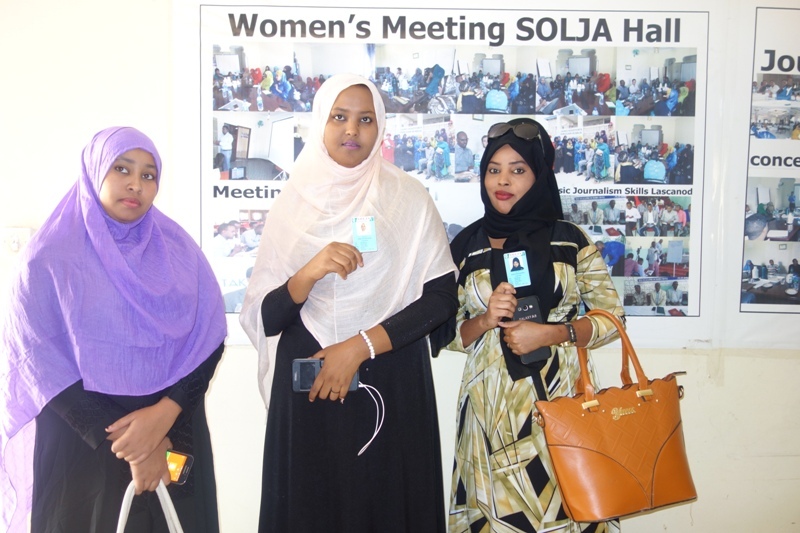 Show your press card to the man-in-uniform (Police) at the entrance of the hall where the event is being organized and he will just take a glimpse at it and know your credentials” ZamZam Ahmed, Reporter. 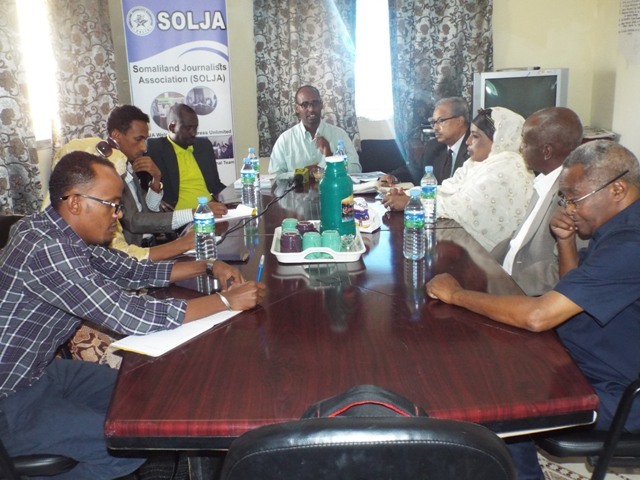 SOLJA-Somaliland journalists Association is very thankful for its potential partner IMS-International Media Support who has funded and technically assisted SOLJA to develop a coherent and comprehensive Database for registration of Somaliland journalists as members of our network and also funding a registration instrument such as ID Card Printer for Press card production. 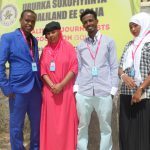 Moreover, we are also very thankful to our partner FREE PRESS Unlimited who have financed the execution of activities such as registration and distribution of the Press Card for journalists which SOLJA is currently handling. 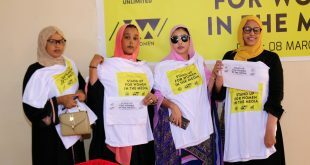 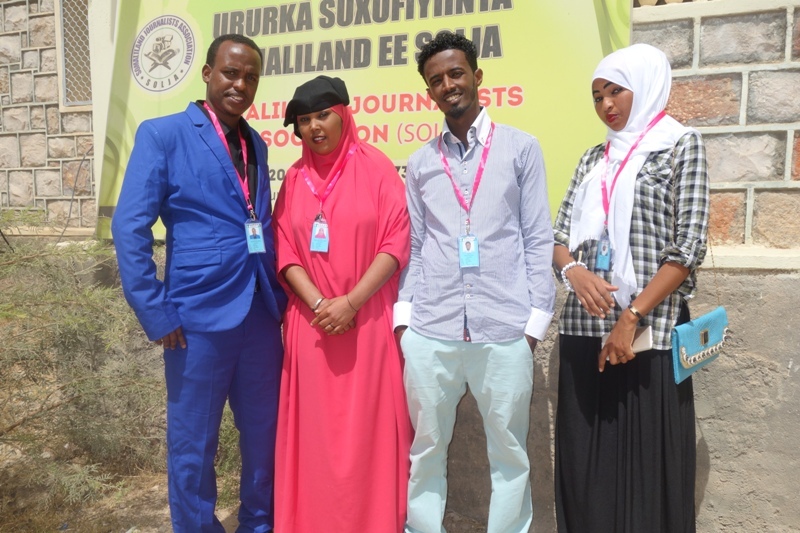 The journalists who have been registered are both from Independent Media organizations: Tv’s, Newspaper, Online media and Government media such as Somaliland National Tv and State owned Radio Hargeisa. 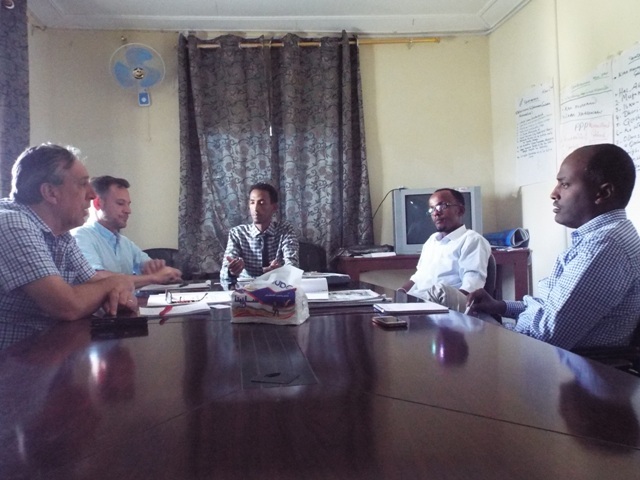 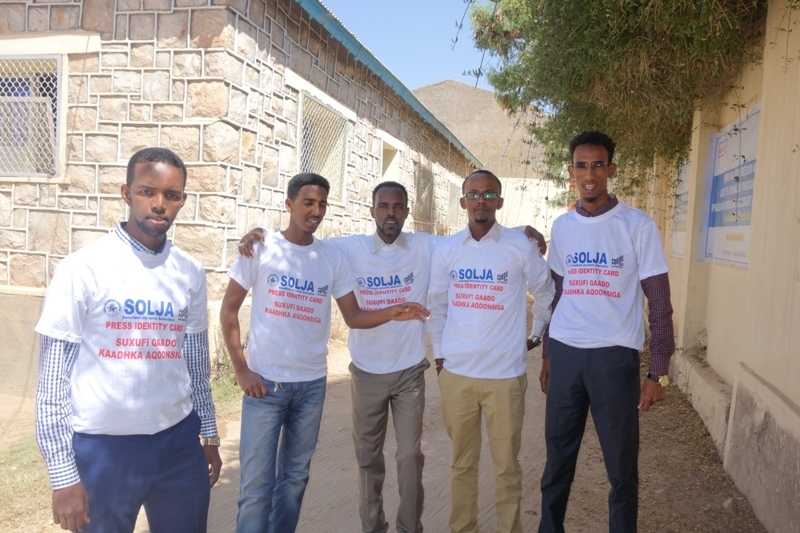 In addition, SOLJA is preparing to go out for regional Registration and Press Card distribution across remaining 5 broad regions of Somaliland as previously scheduled. 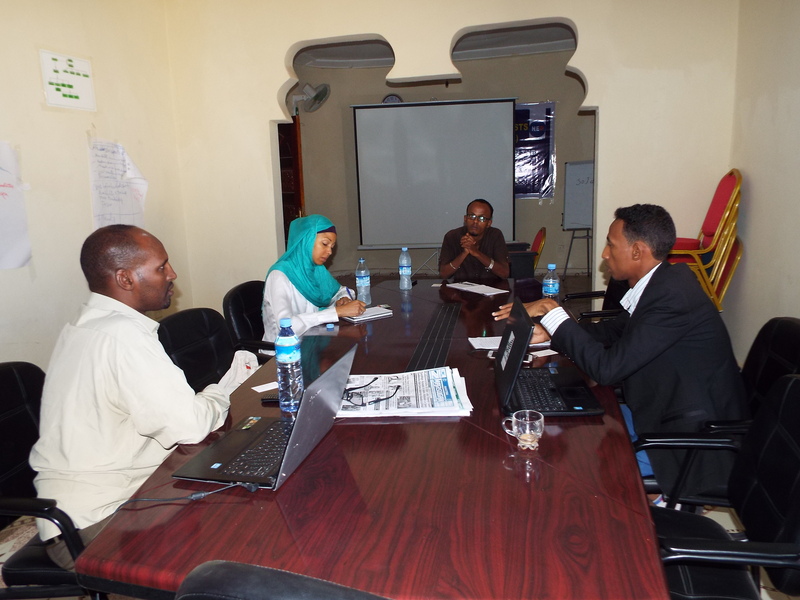 On 1ST Week of April we will go for Eastern regions of Somaliland to Register journalists and Provide ID Cards. 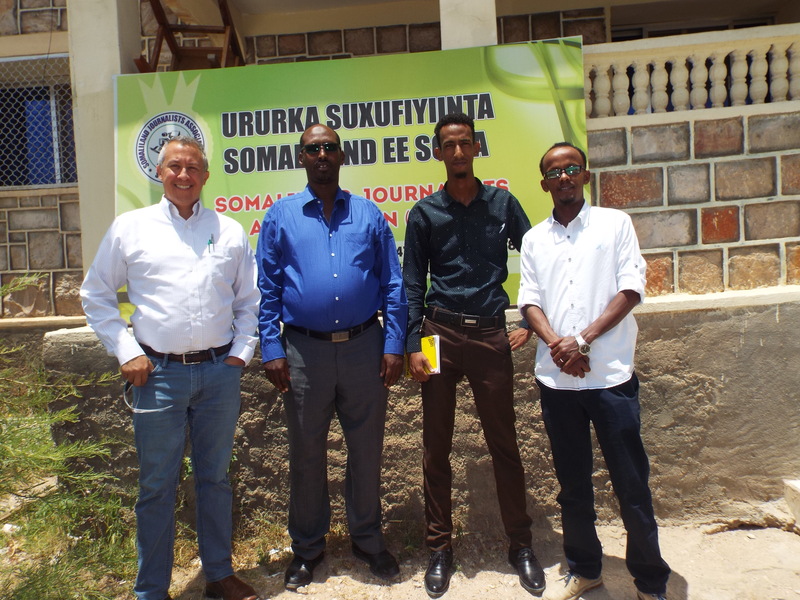 Later on once we finish the regional registration SOLJA is having a continues meetings and introductory session with key government officials and some of the Largest organizations and institutions to brief ID Card information and implementation during their course of their media relation to ask for SOLJA ID Card for verifying and also accepting any information’s required since journalists are identified.